As the New Year dawns, so does our thinking process have an opportunity to do likewise. And why not make it a first call to get your priorities sorted out about your 2017 eating habits. After all, it is the quality of the fuel that you put in the tank that ensures how well your engine runs. Although they might look nice, the great majority of supermarket foods are just a brilliant con trick. And I’m telling you this, sensing that the majority reading this article are most likely still doing most of their food shopping in a supermarket or ‘superstore’. Alright, so put on your safety belt, because I’m going to take you on a rapid ride down the isles of that ‘superstore’ just down the road from you. First impression: Wow, so much choice! Wrong, the product range you are looking at is made up of many slight variations of ‘one food’, and that one food has a number of different manufacturers. So you go to get a litre or two of milk; Oh my! Six different mega dairies have their goods on display, all churning out the same white stuff (called milk), and they all look identical. Choice? Oh yes, you can have skimmed, reduced low fat, or whole; all of which are pasteurised and homogenized. And, of course, there’s ultra heat treated (UHT). But there’s no ‘milk’ available. I think you get my drift: each of those products is a denatured distortion of ‘real milk’. 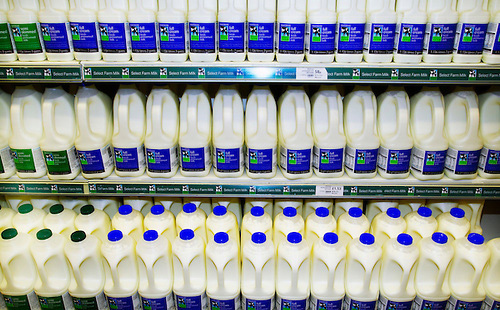 Real Milk is ‘illegal’ in these places – unless you’re in France. Raw unpasteurised milk, with nothing added or taken out: not allowed. Stick with me on dairy, because in many ways it’s symbolic of all the rest of the junk in this ‘superstore’. Did you know that ‘homogenized’ milk involves forcing the cream layer (which normally floats on the top) to morph into the rest of the milk? Yes, that’s what happens; and it’s a particularly dodgy business because this forcing is done under very high pressures, where the milk is blasted through a metal plate perforated with many small holes, thereby forcing the cream into the milk and the milk into the cream, so you can’t see the difference. What comes out the other end resembles ‘another food’ – and by the time it’s also been heat treated (pasteurised), squirted into a plastic bottle and stuck on the supermarket shelf for a few days, it is another food. Food? No sorry, shouldn’t really use that term. According to the dairy industry, the end result is supposed to be ‘more attractive’. Sure, it’s beautiful isn’t it! Maybe, to the eyes of the advertisers. But what this ‘homogenized’ and pasteurised milk is doing in our gut is another thing altogether. It’s essentially indigestible. So let’s get serious: a report by a leading scientist/doctor in the UK some thirty years ago, exposed the fact that homogenized milk causes blockages in the arteries of the heart, leading to potential cardiac arrest. His report mysteriously disappeared soon after it was released and the author was quickly sidelined. Ever heard any stories like this before? OK, so let’s jump back on our trolley and head for the ready prepared meat department. Wow, now here’s a great line up of tempting looking cuts; special ham, spicy sausages, acclaimed bacons, tender chicken nuggets and so forth. Now don’t tell me there’s no choice here! Sorry, it’s all coming from two or three (at the most) huge factory farms. Probably in another Country or some place in your own homeland that you’d least expect. Places it would make you sick to set foot in. Places where 15,000 hens cram into one vast neon lit shed. Usually in ‘cages’ of eight to ten birds each. Hens fed antibiotic laced genetically modified soya and maize – and a bunch of other stuff like manioc from Thailand and rice husks from China; what ever is cheap and available and capable of fattening a chicken in just ten weeks. Ten weeks? Yes, that’s how long it takes to get them up to slaughter weight. Just keep the lights on and keep stuffing them – and that’s the full life-span of a typical supermarket chicken. 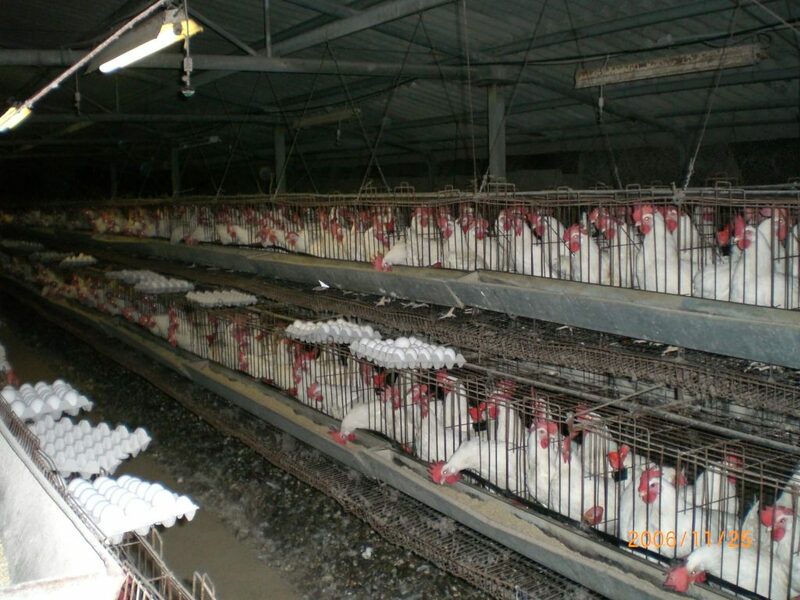 The antibiotics are fed prophylactically so as to keep the hens from dying of diseases which are rife in this airless, sunlight-less, neon lit ‘natural’ environment… Egg production just the same horror story. Life span even shorter. Beaks clipped too. Never see grass, let alone the light of day. Lord, give me a break! What about the pork and ham cuts on display? Yes, exactly the same regime. Hundreds, more often thousands, of pigs in the same style vast shed. Also fed GM maize and soya. Also given routine antibiotics. Also deprived of sleep and relentlessly fattened. Their life span of the fatteners is at best three to four months and the sows, maybe a year. By way of contrast: sows on my farm, running free range on pasture, live for at least five years. Free range chickens on grass also around five to six years. Take a look at those lovely cling film covered trays in which these remains are displayed, especially the ham. How many chemical stabilizers, synthetic preservatives and colouring agents? But listen, it can’t all be that bad can it? I mean, these stores have ‘quality controls’ in place and very strict hygiene arrangements. Sorry, these are just sops to make you feel that the food you are buying is ‘safe’. The reality is that what you are eating – unless it is certified as organic (and most ‘supermarket organic’ pushes the term to its limit of credibility) then you are eating the remnants of an animal that has just been through a concentration camp. Put that in your trolley? Support animal genocide? Listen, I’m feeling a bit queasy, not sure I want to buy anything here after all.. maybe just some loo roles and household detergents. Yes, of course, but the paper (unless you purchase recycled) for your loo roles is coming from strip-forest logging exercises, is heavily processed and then treated with chemicals and synthetic perfumes – ‘to give you a blissful toilet experience everyday!’ The household detergents? Do I need to tell you? Chemical paradise designed to kill anything that moves – including you! Let’s get out of here. Please don’t tell me any more. Sure, good decision – but just in case you’re thinking of grabbing the odd veg for tonight’s dinner. Err, well, please understand that it’s almost certainly been sprayed ten to twelve times during its growing period with chemicals that destroy bees and sicken birds – so it might be better to give them a miss too, right? Scene shifts to the supermarket car park. Orwellian looking arena, where strangely abstracted looking people wheel their cart loads of deadly packaged produce towards shiny waiting vehicles. Is there any choice? asks the by now pale faced, shell shocked consumer. Yes, it’s called ‘real food’. I suggest you grow it yourself. But I suppose you’re not willing to countenance that idea. Then you must look around for the farms that do. Go to the farmer’s market. Maybe a natural foods store. Places where a human being serves you, someone who knows something about the foods on sale in their shop and where they are grown and raised. Scale down your expectations. 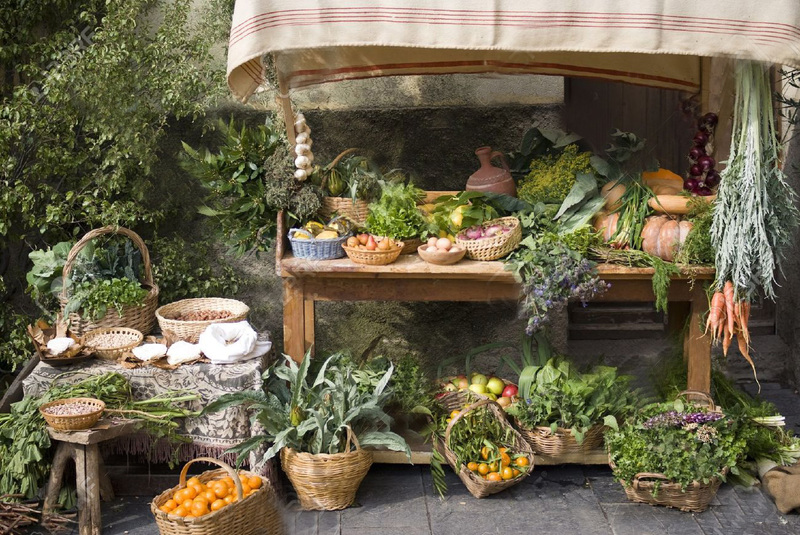 Look for that which is local, fresh and nourishing. Think human scale, not cyborgian mega-scale. Drop the ‘super’ and re-find ‘the market’. The market place. The real people with real smiles and earth worn fingers. Come to your senses. Realize that you have been duped, brow beaten and robbed – maybe for years. Give your body, mind and spirit the chance to heal. Give your money to people who deserve it; people who work with, rather than against, nature. Turn over a new leaf. And if a small bug falls off it, laugh out loud – and give praise for the diversity of the living environment. Rather than the sterility of a death cult dressed-up as ‘convenience’. Julian Rose is founder of the Association of Unpasteurised Milk Producers and Consumers (1989). This entry was posted on 19 January, 2017 in homepage and tagged factory food, fake food versus natural foods, Julian Rose. Bookmark the permalink.